haha i'm new here so yea.. it'd be cool to talk to people. Hello, Veera! Welcome to Kinksworld. What are some of your favorite songs? hello veera, welcome to the board! my favorite Kinks songs right now are Live Life and Destroyer. I only discovered them a couple weeks ago, so I'm still trying to listen to all of their songs. any suggestions? ;D Where do I begin? There are so many great songs. I tend to love the humorous/satire songs such as "Low Budget" and "State of Confusion," along with early but less rocking-out songs like "Dedicated Follower of Fashion," "Dead End Street," and "Maximum Consumption." 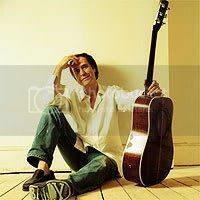 But there are a lot of sweet and wistful classics too, like "Waterloo Sunset" and "Shangri-La." I envy you being able to discover all this music for the first time! so nice to meet you. let us know what you think! I've already heard Lola (freaking amazing btw) and it's actually what made me discover the band. and showed me Destroyer, which I think is my new favorite song now. gonna start listening to all of those right now, thank you guys so much! it's so cool to have people with the same music taste as me. I haven't ever met anyone whose even heard of the Kinks, sadly. Welcome to the board veera. Lots of very good stuff to listen to ahead of you ! I suggest you just pick up any song at random and listen to it ! can anyone give me some backstory on the kinks? their in the rock and roll hall of fame, aren't they? Yes they are! Holly has an interesting thread going called This Day In Kinks Hstory. definitely helpful. thank you guys so much, I'm so glad to discover the kinks. any other song suggestions would be great, thanks so much! Youre welcome, veera. Please join in on the discussions, conversations and games. One interesting thing about the Kinks is that they were around so long (1963-1996, more or less), and released so many albums, that there is a huge range of songs in their catalog. 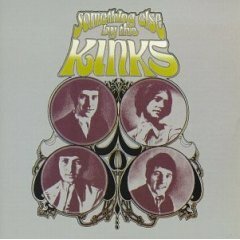 Different Kinks fans may have very different tastes in music, and we all like different songs. What other bands/artists do you like, Veera? That may be a clue as to which Kinks songs you'll like best. I'm actually one of those people who likes a lot of different types of songs, it kind of depends on what I'm feeling. like you said, the kinks have a lot of different songs, and I guess I favor the soft upbeat ones. which ones are your favorites though?